2. It's very sad to know that people use libraries for the computers and meet people. Borrowing books seems to be the least thing that people do in libraries. 8. Film making is the art of convincing you that something is happening when actually it is not. Its an art of deception that manipulates and stimulates your emotions into feeling something that does not actually exist. None of it is real but yet we are obsessed about them. 9. True sincerity is that one performs an action for Allah, not for anything or anyone and not for recognition even if it works out or does not. Thats sincerity. 10. The Quran is a proof for you or a proof against you. 11. Ibn Ata Allah said he studied with Abu al Abbas al mursi (ra) and in thirteen years never found him opposing the sacred law once. 13. Imam Al-Ghazali said, "worship is not valid until you know who you are worshipping." 14. Whatever we do its always about the afterlife..
15. Some men, like bats or owls, have better eyes for the darkness than for the light. 19. Those who are anti knowledge; don't have any!! Is a massive problem for the global world. In particular against Muslims in general because the biased and hypocritical media that paints us all with the same brush. Yet, we also have regional problems of racism within ourselves. There are many communities of Muslims who live in the west and have formed masjids but only cater for their own ethnic backgrounds. This is a massive problem for the new Muslim who is unable to be assisted or even catered for. Therefore, they struggle for years without support and are, the very least, disappointed due to all lectures being in a language they do not understand. "O people! We created you from a male and female; We made you people and tribes so you could know each other. The most honourable of you with Allah is the most pious; Allah is all-knowing and well informed." Imam Al-Tabarani said that this ayah came down when the Prophet (may Allah bestow peace and blessings upon him) had instructed Bilal (may Allah be pleased with him) to make the call of prayer on the Ka'aba. This destroyed racism and the arrogance that some felt because of their positions. Ponder how the pagans viewed this moment. It was the opening of Mekkah and the pagan power had come to an end, forever. The Ka'aba was cleansed from idols because Ibrahim and his son Ismail (upon them peace) had originally made it without any idols. Then the call of prayer was made to signify a return to Monotheism. Bilal (may Allah be pleased with him) made the call to prayer. He was freed servant who had reached a high status in Islam that can never be reached by anyone else. This illustrates that Islam raised the ranks of people who came into its fold. 'O people' meaning all of mankind is addressed here. People could also mean addressing the Arabs alone but within the context of the sentence it means mankind/humanity. 'We have created you from a male and female,' namely all of mankind started from Adam and Hawa (upon them peace). This is the shared lineage of mankind so we are all the same. People do have different ranks though like the companions, the Ahl Al-Bayt, Awliyah and scholars etc. However, everyone else is at a similar level. Then from this shared lineage, we made tribes and people so that we know each other. Each people have things that are distinct to their countries: dress, food, traditions, culture etc. This ayah destroys nationalism which is a plague in many counties. Where people think they are better than others because of where they come from. This ayah destroys that completely. It does not matter where you come from but what matters who is more pious. Taqwa can mean god-fearing as well as pious. Please see previous work on Taqwa. Therefore, a person's honour with Allah is based on how much they fear Allah and not based on their passport. Then the most important part of ayah that we have to pay attention to is that Allah is all knowing and all aware. Allah knows everything about us: our past, present and future. You cannot fool Allah because that is making a fool of oneself. This ayah alone should be enough for you to reflect on your racist behaviour. Imam Ahmad reports from Abu Nadarah, "I was informed that someone heard the sermon of the Messenger of Allah (may Allah bestow peace and blessings upon him) in the middle of the days of tashriq, he said, "O people! Is not your Lord One; your forefathers are one. There is no superiority of an Arab over a non-Arab. No superiority of a non-Arab over an Arab; no red skinned over the black; no black over the red; it is but piety. Have I conveyed [truthfully]." They replied, "You have conveyed." This further illustrates the point of the ayah that the only thing that makes one better than the other is the fear of Allah. The companions confirmed this because they had been taught by the Messenger of Allah (may Allah bestow peace and blessings upon him). This is historical fact, Islamic civilisation accepted people of other religions when no one accepted the other. 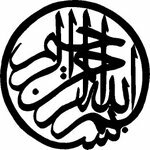 Islam recognised the religions of Judaism, Christianity, Hinduism, and so forth. They also had agreements to be protected by the caliphs of old. This is how the caliph should be. Accepting of people's faith; no matter who they are. Was one of the most inspirational figures in modern history. He was known for being one of the greatest boxers of all time but what he did outside the ring is what I will remember him most. He was often given a hard time by the press for having confidence in his ability. This became the standard of all the boxers that followed him. He was breaking all the moulds that we given to him in the racist environment that he was born into. He famously could not get a meal at a restaurant because of his colour. He had just won the Olympic gold medal in boxing and had been refused service in the restaurant. He threw his medal away. Perhaps this early experience made his refuse the war draft that came his way. He changed his name from his 'slave' name Cassis Clay to Mohammad Ali; this was a shadow that followed him. He accepted Orthodox Islam with Malcolm X and became even more disliked. It has to be noted that many historians noted that figures like Martin Luther King were despised and only after death did things change. M. Ali was a complete break from the norm of what the image of what he should be. This should be an inspiration for you all. Attacking Islam and Muslim has become a drum that many use to scare people. We ourselves have not done enough to dispel people's fears. We hate the violence and criminal activity that occurs in the world. We do not want to be painted with the same brush and similarly we cannot stand the blanket salacious comments made by authorities who should know better. The drums of war are profitable and there is no justice in world were profits are built over the dead. This is the reality of our world that we are living in. So we should know better than to turn on other Muslims who are not the same as us. In terms of their backgrounds, lineage or whatever. Often those who do not share the same background do not treat people the same. You go to Hajj and get treated differently. Some people rip people off who are foreigners because they think they have more money. Taxi drivers too, do not get me started on taxi drivers! Though the racism that is present in some regions is of a low level but it is incomparable to the racism present in the countries were the slave trade was abolished. Muslims in the world have become 'the other' and they are being killed and discriminated against. How is this when we have lived in the west since the 1960's, how can we suddenly be the problem? You cannot blame 1/2/3/4/5% of the population for 100% of the problems. One of the first articles that I was blessed to write was about generality of the Prophets message and it was for all of humanity. Read the Quranic ayahs and the commentaries. Al-Tabari states in his Jami Bayan fi Tasfir Al-Quran, “The Exalted informs the Prophet Muhammad (peace and blessings of Allah be upon him), O Muhammad say, to all mankind, “I am the Messenger of God to you all.” Not to just some, excluding others, like the previous messengers who were sent to some not others. As truly his message was not for some excluding others rather his message was for everyone." Ibn Ajibah states in Al-Bahr Al-Madeed fi Tafsir Al-Quran Al-Majeed, “The Truth mighty and majestic proclaims, “Say,” O Muhammad, “I am the Messenger of God to you all.” To the red, the black, non Arab , the Arab, the peoples and the jinn are specified in this call.” See later note for the meaning of red and black." Al-Shanqiti states in Adowa Al-bayan fi Tafsir Al-Quran, “The Exalted ordered him to say, “O Mankind, I am the Messenger of God to you all.” This blessed passage clarifies that the Prophet Muhammad (peace and blessings of Allah be upon him) was sent to mankind and there are many passages which clarify this further." Ibn Abbas (may Allah be pleased with him) said, “Allah sent Muhammad (peace and blessings of Allah be upon him) to the red and the black.” What this means is all the colours of all the nations not specific to one nation and one colour, all colours and creeds. Ibn Kathir confirms this and adds that the Arabs and the non-Arabs are also addressed here. The conclusion of all these proofs is that the Messenger of Allah (may Allah bestow peace and blessings be upon him) was sent to the entirety of humankind, all of them. This includes all races, creed, cultures, regions and so on. Then how can a Muslim be racist or feel superior to another Muslim based on skin colour? Not only is this going against the wisdom of Allah with creation and against the message, he claims to believe in. Therefore, the person has not only failed to grasp simple messages but has failed with basic elements. Being racist stands against everything that this religion has ever taught because this is an inclusive religion and not an exclusive one! We are different races, colours etc but the glue that binds us is creed. On the other hand, the simple fact we are human and we are all part of the human race. If you do not like a particular race of Muslims then that is your personal issue. You should keep your nonsense to yourself rather than spread it across the internet that compounds the narrative against Muslims. Work with your issues and talk to people and try to solve your problems. Islam has nothing to do with racism and if you are racist then Islam has nothing to do you. 2. Ali Ibn Abu Talib (May Allah be pleased with him) was asked, "how was your love for the Messenger of Allah (May Allah bestow peace and blessings upon him)?" He said, "he was, I take oath by Allah, was more beloved to us than our wealth, our children, our fathers, our mothers, and more than cold water in severe thirst." These are all points that are relevant to people in terms of their love of types of people. Then cool water is mentioned. Why? Go to any hot country and realise the hear of the thirst and much cold water is a blessings. 3. I don't believe people when they want to give me Muslim price. 4. The moon deity was called hubal. The crescent was only adopted by the ottomans because it was a sign of purity that was related to Mary the mother of Isa upon him peace. 5. The alcohol that's in creams and perfumes is synthetic and not fermented like normal alcohol or wine. And it's diluted and then when it's used in a spray it evaporates. So it does not have the same ruling as fermented alcohol. Ummum al balwa does not even come into the equation. 7. Most 'religious' Muslims submit themselves to a group and not to Islam. Therefore it's their group mentality that spreads not Islam therefore anything goes in their groups. 11. When we have no access to the righteous we visit their graves and read their books. 13. Go for hajj and do umrah before. Rather than doing Umrah on it's own. The hajj is fard and the umrah sunnah. Do the hajj and you can do both! 14. Religious ruling are based on proof texts not love. The companions loved the prophet (saas) more than we will ever do but never founded ruling on love. Yet people mistake love/emotion for proof texts. It's decadence of the highest order. 16. we follow ahl al sunnah and al Jamma/the people of the sunnah and the majority and avoid isolated opinions, discord and sectarianism. 17. Insulting people is wrong regardless. If someone has a problem then they should speak to them directly. 18. The background for this statement was a man came to Rabia saying he had not committed a sin for a long time. She saw his pride in his obedience thus it was insincere then she said made this statement. Obedience with pride is insincerity. It's a very subtle point. "Your existence (state) is a sin that necessitates that you seek forgiveness." 21. The Hadith about the quran and the ahl al bayt are two weighty matters left with the ummah which will return to him at the pool on the day of judgement. The quran: we need to learn it, read it, adhere to it etc. the ahl al bayt: we help, support, respect and so on from our love of the Prophet (Saas). Yes we owe a similar respect to the common believer. The ahl al bayt will witness to how they were treated to the Prophet (saas) as will the quran when they come back to the hawd/pool. The ahl al bayt will also assist in people drinking from the pool by giving them beakers of water from it.